I have to admit that I’ve always associated Brittany with bucket-and-spade family holidays and little else. At least I did, until I spent a week there with my partner Chris, reviewing hotels and B&Bs for i-escape. 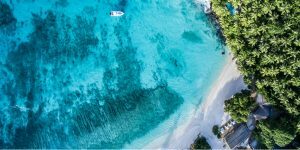 That’s not to say the beaches aren’t spectacular (they are), and that it isn’t an excellent option for child-friendly breaks (it is), but as we soon realised, there’s far more to this corner of northwest France than sea and sand. Our first discovery was just how easily accessible Brittany is by air. There are flights from the UK to several Breton airports, including Rennes, where we landed after a blink-and-you’d-miss-it hop across the Channel. It’s a speedy alternative to the ferry if you’re not bringing your own car, and we found ourselves clearing customs within hours of leaving home. Our second discovery was Brittany’s wonderful tranquility. Yes, some of the seaside towns can get crowded in summer, but it’s a different story away from the tourist hotspots, and we barely passed another soul as we wound our way along little country lanes, through villages with poetic Celtic names like Locminé and Kervignac. It was just as peaceful at La Longère, our first stay. Tucked away among orchards and fields, this adults-only B&B is owned by British Francophiles Elaine and Paul, who spent years restoring their crumbling farmhouse into a bijou 3-bedroom retreat. 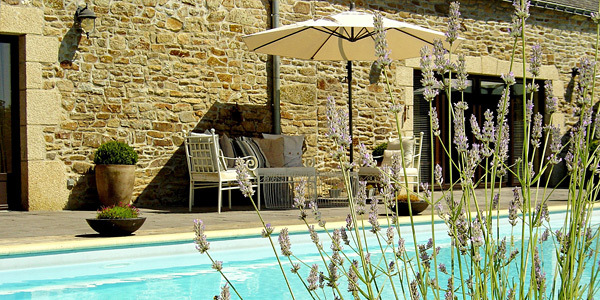 It has a lavender-fringed pool terrace, a beautiful garden, delicious breakfasts, and a relaxed, kick-your-shoes-off feel that could only come from staying in a home rather than a hotel; we felt ourselves unwind as soon as we arrived. La Longère is the kind of place where you could happily spend lazy days doing very little, but it’s also an excellent base for exploring western Brittany’s coast and countryside, and that’s exactly what we did the next day, fresh from a blissful night’s sleep. First up was Carnac, where 3,000 mysterious menhirs stand in neat rows. No-one really knows why they’re here, but they certainly make an impressive sight. Next, we meandered along the Quiberon Peninsula, a narrow ribbon of land poking out into the Atlantic, stopping to dip our toes in the ocean on its sheltered eastern coast and to brave a wander along the rugged, wave-lashed cliffs on the western Côte Sauvage (‘Wild Coast’). Any aching muscles from our day’s adventure were soon soothed away at La Grée des Landes, another fantastic new find. 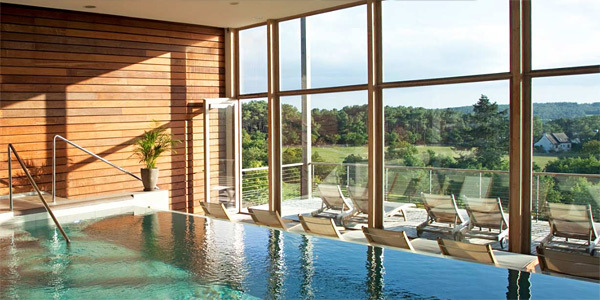 Owned by natural beauty brand Yves Rocher, this eco-friendly spa hotel sits in wildflower meadows above the pretty riverside village of La Gacilly. 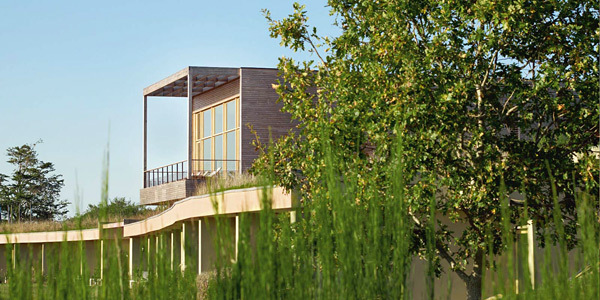 Its grass roofs and wooden cladding hide striking interiors filled with natural light, clean lines and contemporary design – the last thing you’d expect in an area characterised by ancient stone towns and prehistoric ruins. We spent a happy couple of hours wallowing in the spa’s relaxation pool, with its underwater lighting and floor-to-ceiling glass, before sipping cocktails in the candlelit lounge bar. Just as memorable was the organic food served in the restaurant, where we were treated to one of the best meals of our trip – mushroom fricassee with a citrus-infused salad, just-caught Lotte fish with a creamy Saint Jacques sauce, and a mouth-watering cheesecake made from gwel (fermented milk from Brittany’s miniature Pie Noir cows). After an all-too-brief stay at La Grée des Landes, it was time to head up to Brittany’s northern coast, where we seized the opportunity for a sneaky afternoon in Saint-Malo. The main landing point for Brits arriving by ferry, it’s a lively town with a beautiful centre encased in 17th-century walls. 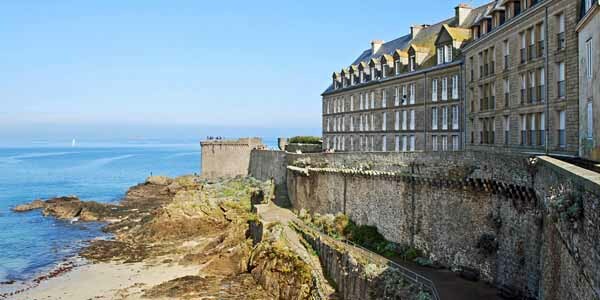 Here, we relished one aspect of Brittany that came as no surprise – its fantastically fresh seafood, best enjoyed with a glass of chilled vin blanc on one of the cobbled squares. 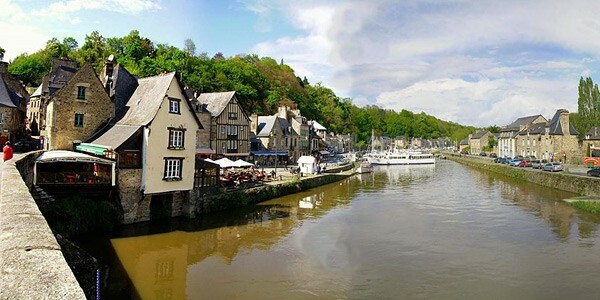 Full but happy, we journeyed 20 minutes further on to our next destination, the delightful town of Dinan, whose half-timbered buildings, cobbled lanes and medieval ramparts look like they’ve been lifted straight from a swashbuckling Hollywood blockbuster. 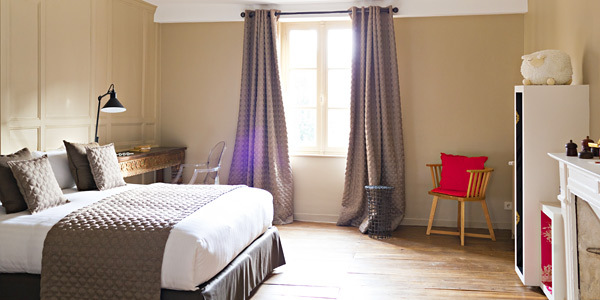 From the front, La Maison Pavie is no exception, occupying a 15th-century house opposite the main church, but inside it’s one very stylish B&B indeed. 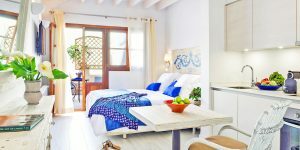 The 5 rooms are inspired by the Asian travels of French explorer Auguste Pavie, born here in 1847, with a mix of Oriental antiques and sleek designer furniture. We loved the perspex Philippe Starck ‘Ghost’ chair and ornately carved table in our suite, Angkor, and the petrol-blue panelling and white Paola Navone sofas in the fire-lit guest lounge. Tempting as it was to curl up here with a bottle of wine, we headed out to explore Dinan. Its artisan studios, delis and river port made for a lovely afternoon’s pottering, rounded off with an excellent steak at family-run restaurant Le Cantorbery, where our meal was accompanied by the delicious aroma of wood smoke from the traditional grill. We ended our trip near another historic jewel, the beautifully preserved, castle-topped town of Vitré. 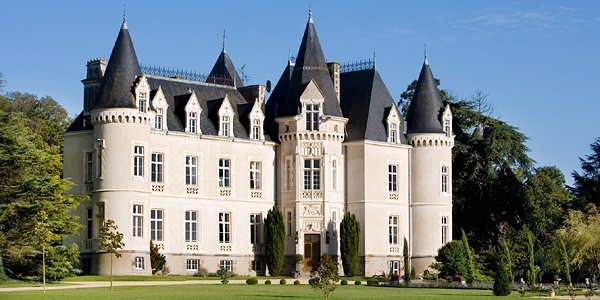 Our base was Château des Tesnières, long an i-escape favourite for its fairy-tale façade, magnificent interiors and tranquil parkland. Here, we were treated to our final surprise – our very own turret. Lounging around in our suite’s tower-top sitting room as the sun set over the pond outside was the perfect end to our week of discoveries, showing off yet another side to this beautiful, beguiling region. 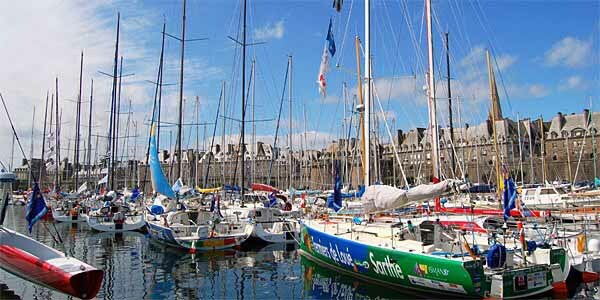 Read our destination guide for more information on Brittany, or check out our full range of places to stay.